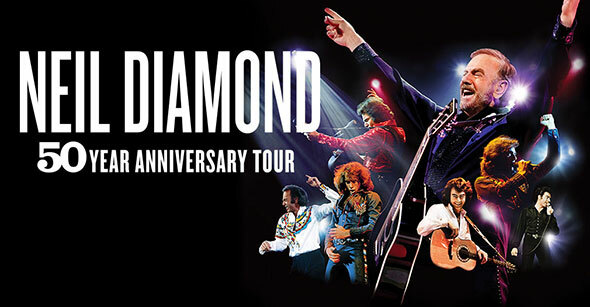 Mission Estate Winery Concert - General: NEIL DIAMOND SOLD OUT 2018 MISSION ESTATE CONCERT! The Mission Estate Concert today announces that tickets to their 2018 Concert on Saturday 17 March featuring Grammy Award® winner and Rock & Roll Hall of Fame member, Neil Diamond, on Saturday 17 March are now SOLD OUT. James Erskine, chairman of Mission Concert promoter SEL, says he is thrilled that so many people will get to see one of the greatest performers on the planet. Neil Diamond’s performance caps a proud Mission Concert tradition of securing the finest artists in the world. Previous artists include Carole King, Rod Stewart, Sting, Tom Jones, Eric Clapton, Engelbert Humperdinck, The Beach Boys, Kenny Rogers, Dionne Warwick and Ray Charles. Neil Diamond’s extraordinary career spans five decades and has created defining hits for generation after generation of loyal fans. He has sold over 130 million albums worldwide and has charted37 Top 40 singles and 16 Top 10 albums. AGrammy Award-winning artist, Diamond is a member of theRock & Roll Hall of Fame, theSongwriters Hall of Fame and a recipient of the Sammy Cahn Lifetime Achievement Award, one of the highest honours bestowed upon songwriters. Diamond’s many other achievements include a Golden Globe Award,13 Grammy nominations and 2009’s NARAS MusiCares Person of the Year award. In 2011, Diamond received the prestigious Kennedy Center Honor for his lifetime of contributions to American culture. Diamond’s universally beloved songs – as well as his charismatic and openhearted performances of them – continue to make him an international force both as a record maker and a live entertainer.